Two films about contemporary inequality. It isn’t based on real life this is real life! One year on from presenting previews of their films, filmmakers The Artist Taxi Driver and Katherine Round return to NXDFFF to present their finished films, focusing on the government’s austerity package and the gap between the rich and poor. Austerity by The Artist Taxi Driver – Mark McGowan’s film about the myth and impact of the Government’s Austerity Package. He unpicks the figures and explores the effects by talking with a wide range of people including children and members of parliament in a way that only he can – by interviewing them in his taxi cab. The result is a film that is an important record of our times. The Divide – At last years festival we screened an excerpt. 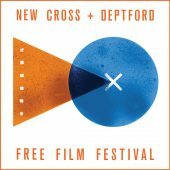 This year we are proud and excited to welcome back filmmaker Katherine Round to screen the finished film as it goes on national release. 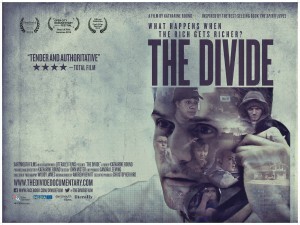 The Divide tells the story of seven individuals striving for a better life in modern day US and UK – where the top 0.1% owns as much wealth as the bottom 90%. By plotting these tales together the film reveals how every aspect of our lives is controlled by one factor: the size of the gap between rich and poor. 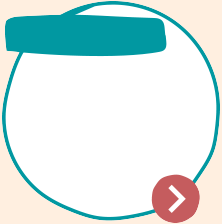 The Divide was inspired by the acclaimed book The Spirit Level (by Kate Pickett and Richard Wilkinson). Copies will be on sale at the event along with information about The Equality Trust. The evening will start with a short film about library closures from resident artist Margaret Jennings. Discussion after with Katherine Round, Mark McGowan (The Artist Taxi driver) and Margaret Jennings.